The HERO Board of Directors provides the oversight and direction that has made HERO successful and helped us become a leading non-profit health management organization in the country. Our board is made up of corporate executives and individuals from a cross section of employee health management organizations. Each board member is a recognized thought leader in their respective area of our industry. HERO is proud to be guided by this distinguished group of professionals. Seth Serxner brings the breadth of his experience in academia, industry and consulting to his role as chief health officer and senior vice president of population health for Optum Care Solutions. His versatile skill set ensures processes and outcomes that improve health for clients in all markets. Seth’s deep knowledge of behavior change, population health and measurement allow him to visualize and deliver on program innovation. He has more than 25 years of experience in health and productivity management and has published more than 30 articles. Seth came to Optum from Mercer’s Total Health Management specialty, where he served as partner and senior consultant for nine years. During his tenure there, Seth established himself as a national expert on behavior change, program design and measurement. Seth spent a decade each in academia and private industry before becoming a consultant. During this time, Seth was vice president of research at StayWell, where he established the industry-leading market research program for developing and marketing consumer health materials and programs. He has also held academic positions with the University of Hawaii Medical School, the Cancer Research Center of Hawaii and the University of California, Irvine. Seth earned a Masters of Public Health from the University of California, Los Angeles, and a doctorate from the University of California, Irvine, where his research focused on health promotion and disease prevention in social ecology. 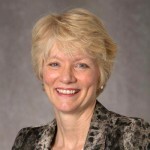 Anita Shaughnessy is Vice President and Manager of the Well-Being program at Wells Fargo. In this role she directs the well-being strategy, and is responsible for planning, developing and evaluating programs and initiatives offered to over 260,000 US based team members, and spanning 8,700 locations. 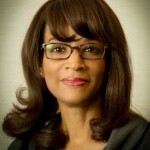 Prior to joining Wells Fargo, Anita was Vice President of U.S. Healthcare and Wellness at American Express. Under her leadership that program was conferred multiple industry awards including honorable mention for the C. Everett Koop award. Before this, she was Director of Welfare Programs at Citi; and also previously led Citibank’s work-life and health promotion programs. While she was with Citibank, the Health Management Program received two C. Everett Koop awards, with published results in the American Journal of Health Promotion and the Journal of Occupational and Environmental Medicine. In her early career Anita led aquatic and physical programming for the YMCA and then consulted on staffing and development of corporate fitness centers for several corporations including General Foods, GH Bass and Titleist and Footjoy Worldwide. Anita received her Bachelor of Science degree from Russell Sage College, and a Master’s degree in education from Springfield College. In her current role as Assistant Vice President, Joni provides leadership for compensation, broad –based benefit offerings and integrated health management programs for approximately 20,000 employees. She leads a team of staff members responsible for compensation, health and welfare plans, retirement plans, disability services, well-being programs, and workers’ compensation services. Joni has experience in many areas of human resources with emphasis on strategic planning, development and implementation of system-wide service delivery models, and data analytics/outcome analysis. In her work, she is focused on integrating the concepts of total rewards in support of the employee experience, well-being, performance and the talent agenda within the University of Iowa culture. Joni earned degrees from the University of Iowa with a BS and MA in Exercise Science; and received her MBA from the Tippie College of Business at the University of Iowa. She is a Certified Employee Benefits Specialist and Senior Professional in Human Resources. Dr. Marleece Barber is Director of Health, Wellness and Employee Health and Life Insurance Benefits. She also serves as the Chief Medical Officer for the Lockheed Martin Corporation. She is responsible for designing, developing, and executing a health and productivity strategy that includes wellness and preventive care for over 100,000 employees. Prior to joining Lockheed Martin, she was employed by Deere & Company where she created wellness programs and initiatives that emphasized the importance of risk factor reduction in the prevention of chronic disease. She was also the Director of Global Safety, ensuring that appropriate standards were met and programs deployed to prevent workplace injuries. She holds a Bachelor of Science degree in Chemistry from Dillard University; a Doctor of Medicine from the University of Rochester School of Medicine and Dentistry; and a Master of Science from Harvard University School of Public Health. Dr. Barber serves on the Board of Directors of the National Business Group on Health and is an inaugural member of the Institute of Medicine’s Public-Private Partnerships for Global Health and Safety Committee. She is also on the Board of Director’s for the Leapfrog Group. The wife and mother of two children is also a talented singer and songwriter of inspirational music. As vice president of consulting and applied research for Truven Health Analytics and as a research professor for Emory University, Ron Goetzel is responsible for leading research projects and consulting services focusing on the relationship between health and well-being, and work-related productivity. He is nationally recognized and widely published in the areas of return-on-investment (ROI), data analysis, program evaluation, outcomes research, and health and productivity measurement. Ron has served as principal investigator for projects supported by Medicare, NHLBI, and the CDC, as well as dozens of business organizations, including HERO. Ron was previously with Johnson & Johnson Health Care Systems. He has doctorate and masters degrees in applied social psychology from New York University. Ron is also president and CEO of The Health Project, which is responsible for establishing and managing the C. Everett Koop National Health Awards. Since 1994, The Health Project has been the premier organization that identifies and recognizes exemplar health promotion programs. The Health Project is dedicated to improving Americans’ health and reducing the need and demand for medical services through good health practices. 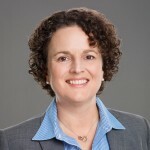 Karen Moseley is President of the Health Enhancement Research Organization (HERO), a national think tank dedicated to advancing best practices in employee health promotion. In collaboration with HERO members, Karen and the HERO team provide leadership in research and education on issues such as the impact of wellness program best practices on health outcomes and the impact of healthy cultures on employee performance. Prior to being appointed President of HERO, Karen served as the organization’s Vice President of Education and Director of Operations. In these positions, she was instrumental in growing HERO membership, increasing member engagement, and continuously improving educational programming and supporting HERO’s robust research agenda. Karen also managed HERO’s grant-funded projects, which include a multi-stakeholder collaboration to support employer involvement in community health initiatives and another to identify common measures of community health, both funded by Robert Wood Johnson Foundation. Having worked in the non-profit sector for more than 25 years, Karen has managed the development and dissemination of a number of publications and educational conferences. Karen received her Bachelor of Science in business administration from the University of North Carolina at Chapel Hill. To stay healthy, Karen enjoys yoga and focuses on movement throughout the day. She also enjoys cooking and being in nature. Karen and her husband, T.J., and their children Harris and Catherine, reside in Fayetteville, NC. 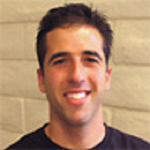 Josh Glynn, MBA is the Global Health+Performance Manager at Google. Part of the Real Estate and Workplace Services group, his team is focused on enhancing health and community throughout the company. With a focus on user experience, operations, and outcomes, his team runs programs in offices around the world and focuses on innovation through user centered design. His goal is to better understand the link between health, happiness and performance, and better leverage technology for scaleable solutions. Having started in the Benefits group, Josh has been with Google for over 6 years. Previously, he has worked in both the private and university setting. Jack Groppel, PhD, is an internationally recognized authority and pioneer in the science of human performance and co-chair of the newly formed Global Alliance for Health & Performance. He currently serves on an academic appointment as Professor of Kinesiology & Community Health at the University of Illinois @ Urbana-Champaign, and served as an Adjunct Professor of Management at the J.L. Kellogg School of Management at Northwestern University for several years. Jack has addressed the issue of worksite wellness and performance at such policy events as the United Nations Side Event for Physical Activity and Non-Communicable Disease, a US Congressional Briefing on Worksite Health Promotion, and represented the worksite wellness industry at the historic Surgeon General’s Call to Action on Walking and Walkable Communities. He is the co-chair of HERO’s Workplace Performance Study Committee, as well as the national spokesperson for the CEO Pledge for Physical Activity of the National Coalition for Promoting Physical Activity. Jack co-authored the books, “The Corporate Athlete” and “The Corporate Athlete Advantage,” and developed a training program around the concept. He has been featured in the New York Times, Fortune, Forbes, Shape, Fast Company and Huffington Post, among others. Jack is a Fellow in the American College of Sports Medicine and the American College of Nutrition, as well as a Board certified nutritionist. 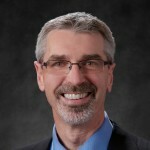 Chief Science Officer at HealthPartners, Inc.
Dr. Pronk’s work is focused on connecting evidence of effectiveness with the practical application of programs and practices, policies and systems that measurably improve population health and well-being. His work applies to the workplace, the care delivery setting, and the community and involves development of new models to improve health and well-being at the research, practice and policy levels. Currently, Dr. Pronk serves as co-chair of the U.S. Secretary of Health and Human Services’ Advisory Committee on National Health Promotion and Disease Prevention Objectives for 2030 (aka Healthy People 2030) and is a member of the Community Preventive Services Task Force. 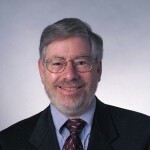 He was the founding and past president of the International Association for Worksite Health Promotion and has served on boards and committees at the National Academies of Science, Engineering, and Medicine, the American Heart Association, the Health Enhancement Research Organization, among others. He is widely published in both the scientific and practice literatures and is a national and international speaker on population health and health promotion. Dr. Pronk received his doctorate degree in exercise physiology at Texas A&M University and completed his post-doctoral studies in behavioral medicine at the University of Pittsburgh Medical Center at the Western Psychiatric Institute and Clinic in Pittsburgh, Pennsylvania. 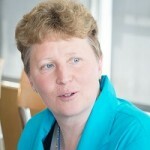 Betty-Jo is the Senior Director of Benefits for DHL. In this role, Betty-Jo is responsible for the oversight, design, and management of DHL’s health, welfare, and wellness strategy. She is a performance-driven professional with 15 years of combined expertise in Benefits management with proven results in cross-functional environments. Experience in industry best business practices, policies, and procedures to operate a successful benefits program designed to result in “healthy people” and excellence in customer satisfaction while bringing a favorable return on investment. A creative thinker, problem solver and decision maker effectively balancing the needs of employees with the mission of the organization. Betty-Jo joined DHL in 2017 previously; she worked at ADT, Motorola, and Motorola Mobility, a division of Google. Betty-Jo enjoys directing the strategy, innovation, design, and development of benefit programs in support of the company’s global strategy to attract and retain best-in-class employees while promoting healthy employees with a secure financial future. She is a national expert on financial analysis and population health management dashboard build to drive results. Betty-Jo holds a Bachelor of Science degree in Biology from the University of Miami, a Master’s of Business Administration from the University of Miami and a Master’s of Public Health from Florida International University. She is also a Six Sigma Black Belt and a Master Certified Health Education Specialist. David Schweppe is national vice president, Customer Analytics and Reporting, for Kaiser Permanente. He is responsible for leading the building of and maintaining industry leading customer reporting and analytic capability across the Kaiser Permanente organization. In this capacity, Schweppe leads the assessment of Kaiser Permanente’s position in Customer Reporting and Value Demonstration to determine the current and future information needs of Kaiser Permanente customers. He also is responsible for developing the strategy and building the infrastructure to ensure Kaiser Permanente is the industry leader in analytics and reporting. 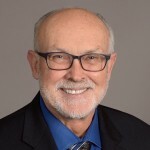 Schweppe joined Kaiser Permanente in 1993 previously; he was Director of Analytics in Quality Operations with The Permanente Medical Group, and with Kaiser Permanente IT as the Director, Clinical Data Solutions. In the last six years, Schweppe has led the release of a number of new information products, such as Kaiser Permanente’s Partnership in Health Reports, Information Consulting Services, and research & development services to enhance the organization’s reporting capabilities. Schweppe has a master’s degree in public health from California State University at San Jose and a Bachelor’s of Science degree in genetics from UC Davis. 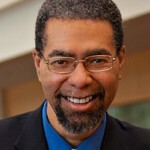 Dr. Dexter Shurney, MD, MBA, MPH is Chief Medical Officer of Zipongo. He has an extensive background in health care management and policy and is currently President-elect of The American College of Lifestyle Medicine. 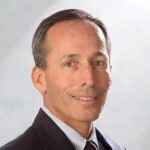 Prior to Zipongo, Dr. Shurney was as the Chief Medical Director /Executive Director for Global Health Benefits and Corporate Wellness for Cummins, Inc. He has also served as Chief Medical Director of the Employee Health Plan for Vanderbilt University and Medical Center where Dr. Shurney held joint faculty appointments. He is co-author of the book “Integrating Wellness into Your Disease Management Programs” which is a “how- to” guide for employers that wish to innovate their approach to chronic condition management. Dr. Shurney is board-certified in general preventive medicine and public health and serves on numerous boards. Other positions that Dr. Shurney has held include Senior Vice President and Chief Medical Officer for Healthways, Senior Health Policy Strategist in the Division of Government Affairs for the biotechnology company Amgen Inc., Chief Medical Officer and Vice President of medical affairs for Blue Cross Blue Shield of Michigan, and Editor of the Journal of Managed Care Physicians. 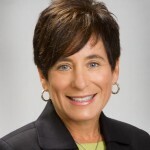 Tami Simon is a nationally recognized health, wellness and workforce strategy leader. 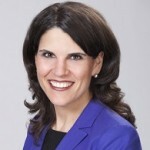 Recently named one of the 25 Most Influential Women in Benefit Consulting by Employee Benefit Adviser, Tami is the Global Practice Leader of Conduent’s HR Services Knowledge Resource Center. The Knowledge Resource Center is responsible for the firm’s cross-practice legal compliance consulting center, government relations, thought leadership, publications, research, surveys, and training. Tami also held the position of Global Practice Leader for the Career Practice, the firm’s compensation, talent management and vendor management team. Tami is a member of the firm’s Diversity Committee and executive sponsor for the Conduent Women’s Alliance DC chapter. Tami is an accomplished and highly sought-after public speaker and has testified before the US Congress and Federal Government agencies. She has served as a faculty member for numerous programs, including those of the Harvard Business School, American Law Institute, American Benefits Council, ERISA Industry Committee, Society for Human Resource Management, and the International Society of Certified Employee Benefit Specialists. Tami has authored numerous articles in nationally recognized industry publications such as the Benefits Law Journal, Employee Relations Law Journal and Employee Benefits Journal. She has also been quoted by leading news outlets including the Wall Street Journal, Bloomberg BNA, The Atlantic, Business Week, CFO Magazine, Washington Post, Chicago Tribune, MSN Money, US News & World Report, Washington Business Journal, and Yahoo Finance. Tami is on the board of directors for Emeriti Retirement Health Solutions, advisory board of the ERISA Industry Committee as well as BNA Tax Management’s Compensation Planning Journal. Before joining, Tami worked for Mercer, the law firm of McDermott, Will & Emery, Hewitt Associates and the Illinois Attorney General’s Office; she also served as a judicial intern for the Iowa District Court. Tami received her bachelor’s degree from the University of Illinois at Urbana/Champaign and her law degree, with distinction, from the University of Iowa College of Law, where she was an associate editor of the Law Review. She is a member of the Illinois Bar. Laurie Whitsel, Ph.D. is currently the Director of Policy Research for the American Heart Association (AHA), helping to translate science into policy at a national level in the areas of cardiovascular disease and stroke prevention and health promotion. The policy research department provides policy development and the foundation for AHA’s advocacy work at the national and state level. Whitsel has written numerous published papers in the areas of nutrition, physical activity, health promotion in the worksite and obesity prevention, policy position statements as well as legislative briefs, and the AHA’s strategic policy agenda. Whitsel represents the AHA with several national partners including the Y, Action for Healthy Kids, the President’s Council for Fitness, Sport, and Nutrition, HERO, the Aspen Institute’s Project Play and she has spoken at numerous national conferences. She regularly interacts with several government agencies including the Food and Drug Administration, the Department of Health and Human Services, the Centers for Disease Control and Prevention, and the U.S. Department of Agriculture, as well as members of Congress. She has served on grant-writing teams for the AHA including the original $8 million grant awarded to the Alliance for a Healthier Generation by the Robert Wood Johnson Foundation for the Healthy Schools Program. From 2011-13 she served as President of the National Coalition for Promoting Physical Activity (NCPPA). NCPPA represents a diverse blend of associations, health organizations, and private corporations and is focused on promoting physical activity and fitness initiatives at the national level, advocating for policies that encourage Americans of all ages to become more physically active and healthy. Shelly is a national and international expert in Willis Towers Watson’s Health & Wellbeing specialty area in the Health and Benefits Practice. She provides a wide variety of strategic consulting services in all aspects of health and well-being to include physical, emotional and financial aspects of organizational and personal health. Areas of expertise include care and condition management, wellness and prevention, health incentive design, onsite health centers, healthcare delivery innovations, worksite based support, emotional health, and financial well-being, absence and disability benefit design, statutory leave, workers compensation, employee productivity, workforce effectiveness and strategic planning with clients. She is also responsible for leading global health and productivity projects, engagement strategies and is a regular contributor to Towers Watson’s published research on global and domestic health and well-being strategies, programs and impacts. Prior to joining Towers Watson, Shelly came from General Electric where she was responsible for leading company-wide cross functional projects which became a cornerstone in GE’s absence and worker health programs. 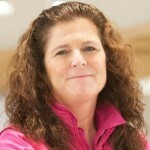 Shelly brings 20+ years of experience having worked in the insurance industry prior to her work at GE. Shelly holds a MBA from the University of St. Thomas, Minneapolis, MN and master’s degree in vocational rehabilitation counseling from the University of Minnesota.